Today I’m talking about what wool is and, in related news, how we will be exploring with in in 2o18! Our mucker this episode is Anthea Willis, aka forrestflower23 on ravelry. 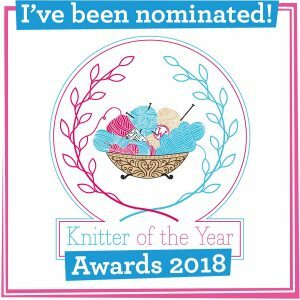 Anthea describes herself (on instagram) as a designer and maker yarn addict, lover of books, thrifter, mamma, drinker of tea, photographer of cats and knitting (and random pretty things). I am hugely amused and inspired that her favourite curseword is BUGGERNUTS. Anthea answers our woolly mucker questionnaire in today’s show – listen out for waistcoats and hammocks of britsock! Thanks for supporting our show, Anthea. Thank you for all your feedback from episode 95 and your discussions about knitworthiness far exceeding knitting hats for bottles. It’s also been amazing to see what you make and give to those who are in real need of your makes. I’ve sent off two bundles of squares to Knit for Peace, which will go into dressing gowns for their Keep Britain Warm campaign. Next Saturday (9th) in Glasgow, at the Queen of Purls, Zoe is hosting the annual Warm and Working day, where money is raised for The Big Issue and you can donate hats, scarves, mittens and cowls to Big Issue vendors. On the day there will also be Ginger Twist Studio, Fluph, Woolenflower and StitchBirdie. I’m not sure if other areas with Big Issue offices accept knitwear for vendors, but it is worth asking, isn’t it? Wovember is over for 2017 and how lovely has it been to see all the amazing images on instagram, where people have taken part in the challenge set by Yarn in the City‘s Allison and Rachel. Recognising that WOOL is a premium textile which comes from an actual sheep, and that – as such – the terms WOOL, WOOLLY and WOOLLEN should only be applied to real WOOL and not, for instance, to polyester or viscose. celebrating the important heritage and contemporary value of WOOL through our 100% WOOL stories, blog posts, pictures, textiles, and garments. educating and informing the wider public of the wondrous qualities of WOOL. creatively pushing the idea that the word WOOL should refer to sheep’s WOOL only. reconnecting the idea of WOOL to the animals and people involved in its creation and manufacture. campaigning for a clarification of trading standards to prevent further misuse of the term WOOL. Challenging mis-use of the terms related to “wool” is a big part of what we do and what we want to counter. 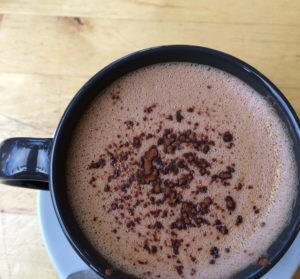 As you would expect chocolate to have some actual cocoa content and as you would expect Champagne to be particular to an area of France, so too should we expect “wool” to be 100% wool and from a sheep. I’ve been a wee bit disappointed in some of the images that Wovember have been tagged in this year, which have show silk, acrylic, alpaca, mohair and yak and been termed as “wool”. Yes, there have definitely been uses of the term “wool” to mean yarn, over the years, but does that mean we cannot change that, right now? Each year we campaign to remind people that these mis-used terms are confusing and damaging to the work, skill and knowledge of people growing and working with real wool at all levels. That’s why its a bit of a shame that there is misunderstanding on “wool”, particularly when people are essentially engaging with Wovember online and trying to make connections to it in their own crafts. For me, whether it is a knitted fabric or a yarn – if it is not made from the wool of a sheep then it can’t be called wool. All sheep wool can be twisted into a yarn, but not all yarns are wool. Full stop. Thank you so much for your enthusiasm on Wool Exploration! Have you seen the first info post, the post on North Ronaldsays and the swatch guidelines? Well, if not, get reading and join in with the chatter in our Ravelry thread. 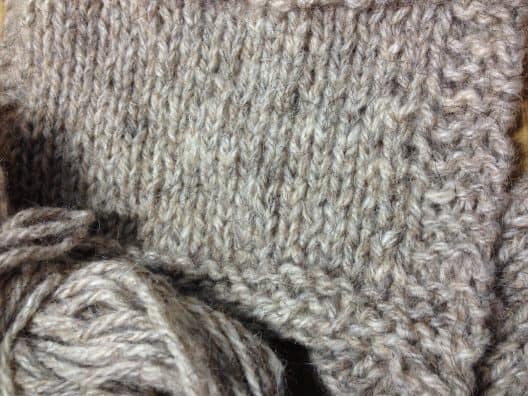 To join in, procure your wool or fibre, make a big swatch, in any pattern. 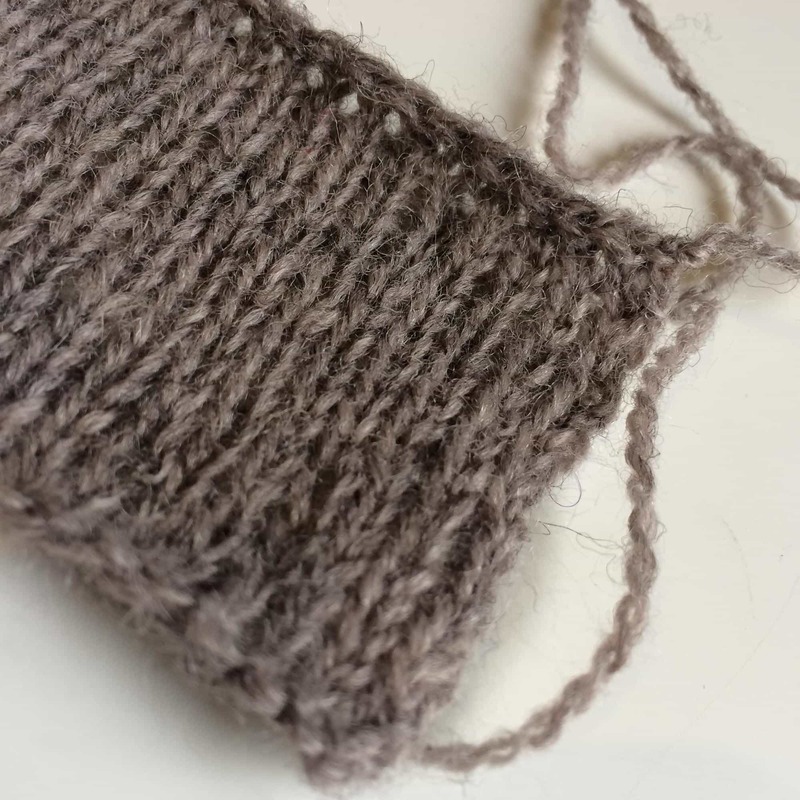 Use those swatch guidelines to test your wool and frame your review. Transfer your notes to your ravelry project (example from breed SAL) page and tell us when you’ve reviewed your yarn, in the chat group. The deadline for reviews is 28th December! Our mucker this month is Anthea Willis, aka ForestFlower23 on Ravelry. Anthea was suffering with sciatica when we chatted and had been soothing herself with tea and knitting that day. When I chatted with her she had just cast off her son’s Flax sweater, in WYS Aire Valley Aran. 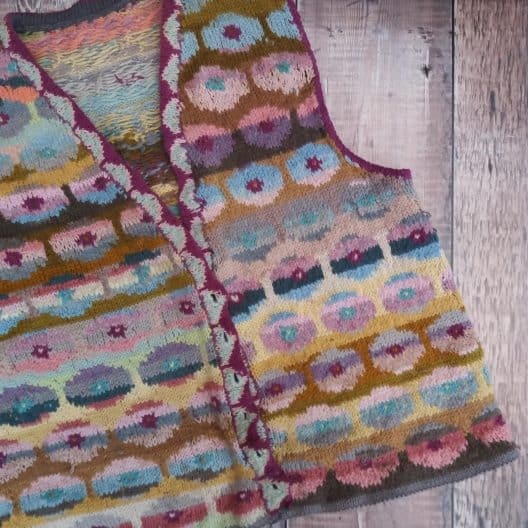 Anthea takes us on a journey of her early knitting years which heavily feature waistcoats, that never quite got finished! The beauty of the first thing Anthea can remember almost finishing is an incredible Kaffe Fasset waistcoat and she got to cherry pick the colours from her parent’s stash. She still wears it and sent me a photo of it. How amazing is this ? 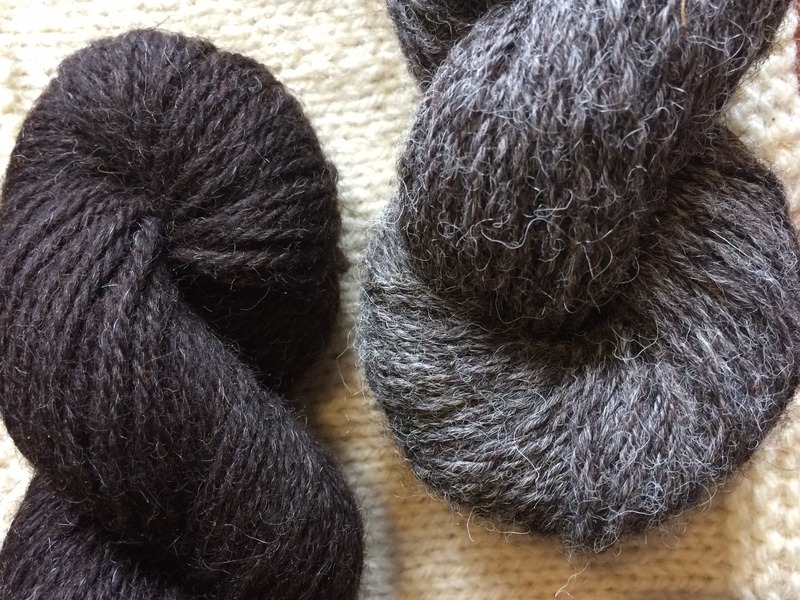 Anthea has two great choices for Desert Island Yarn – or the yarns she wants people to know about – Jamieson’s of Shetland Spindrift and Britsock, from The Knitting Goddess. We do discuss knitted hammocks in these yarns! 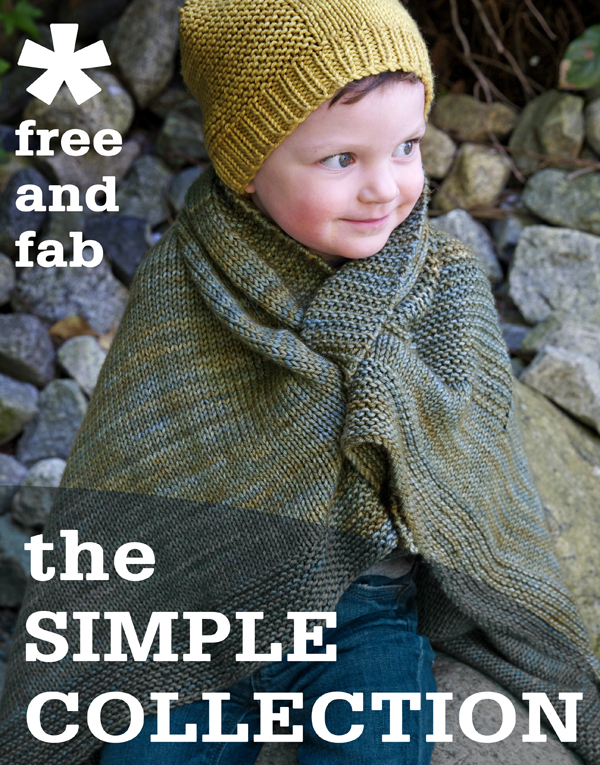 The pattern she would like everyone to know about is The Simple Collection from Tin Can Knits – the free and fantastic pdf collection, with online support, where you can knit an entire wardrobe from head to toe! We had a great chat and it was really, really lovely to have Anthea over on the podcast. Thanks so much Anthea, for supporting the show. Our 100 episodes are nearly here! I recorded before it was announced, but Mazzy is organising a get-together in Bath on 13th January, just as we are having a get-together in Edinburgh that day too. Do jump into the rav group to join in, if you can get to Bath. The Edinburgh event is fully booked, but there just may be a ticket or two left. 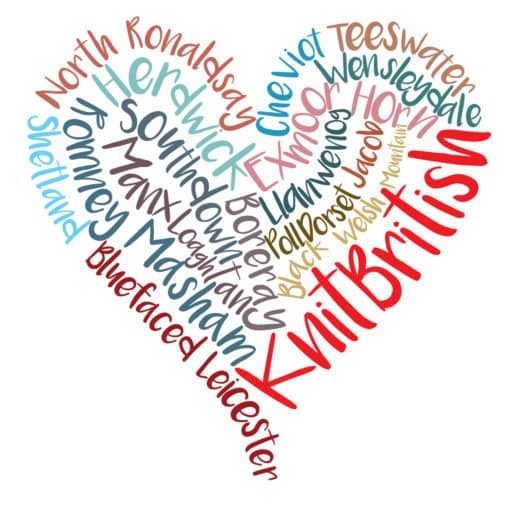 The only ONLY place I will post about this will be in the KnitBritish Ravelry group, in THIS thread. I won’t post on social media to announce *when* I will be doing this, but it will be in the coming days (week?) – so if you missed out, or a friend knows you are going and they want to now come, they need to watch that thread! Our jumper bunting has been coming in from all over . If you want to join in, you can! Just go on over to the ravelry group (linked in the sentence above) and you’ll find the pattern and all the info at the top of the thread. That’s all til the middle of the month! Listen out for a podKAL hint at the end! Thanks for listening, as ever! Happy knitting. I don’t believe it! Can’t do the meet up in Edinburgh because of my daughter’s 21st. But…. can’t do Bath either as will be travelling back from Glasgow!! It’s only 30 miles away from me too. Grrrr. I will need to speak to Mazzy about having another one just for the hell of it! Speak away, speak away! I may not let you forget that you’ve suggested this. And both are miles from me and I shan’t be up to Edinburgh til March (for a Tidelines gig and, oh – I’m sure there’s something else happening about then too?) and not down to the SW until August.